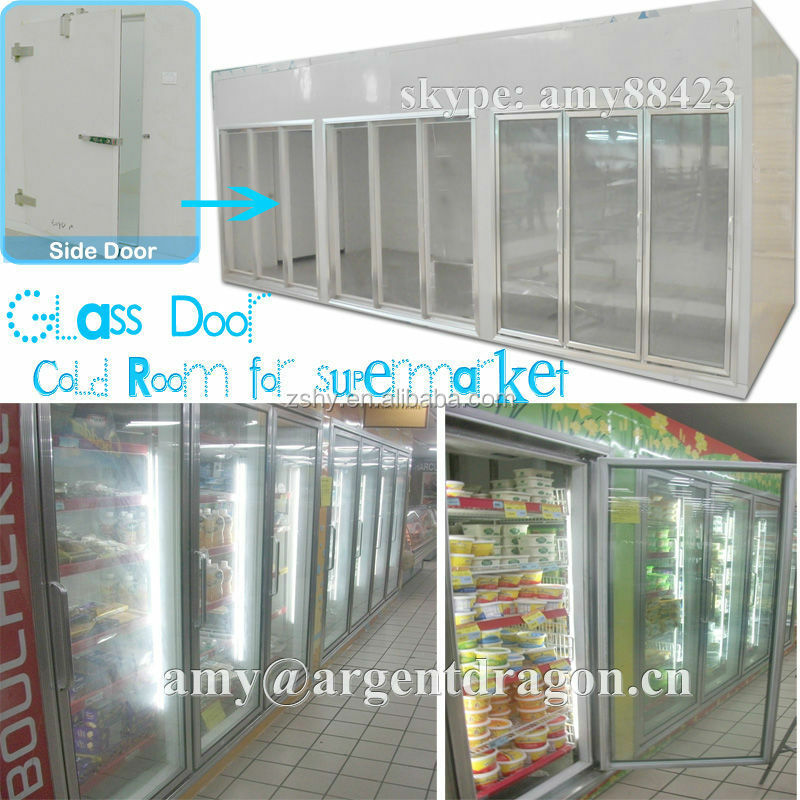 walk-in cold room / glass door cold room are ideal for display and storage of chilled products such as beverages, dairy products, flowers, ice cream, meat, etc. It is mainly applied to supermarket or flower store . 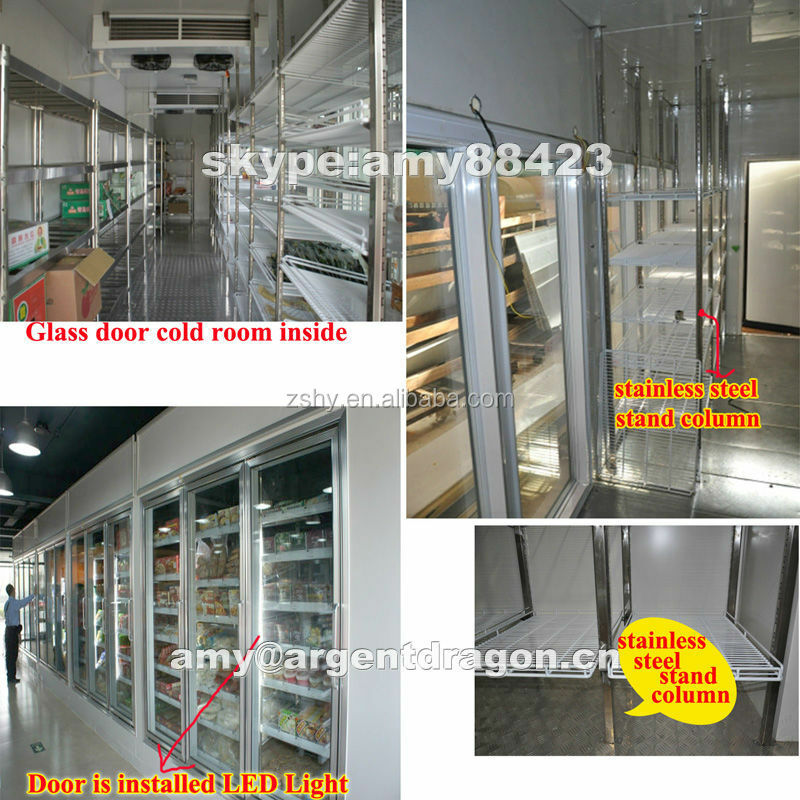 our walk-in cold room / glass door cold room is very hot sell in Australia, U.S.A., Maldives, Singapore, New Zealand,ect . 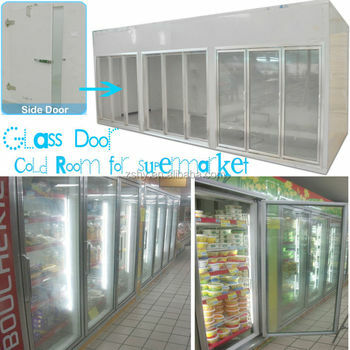 3. glass door size : W:725*H:1775 mm , with heater and LED Light . 5. 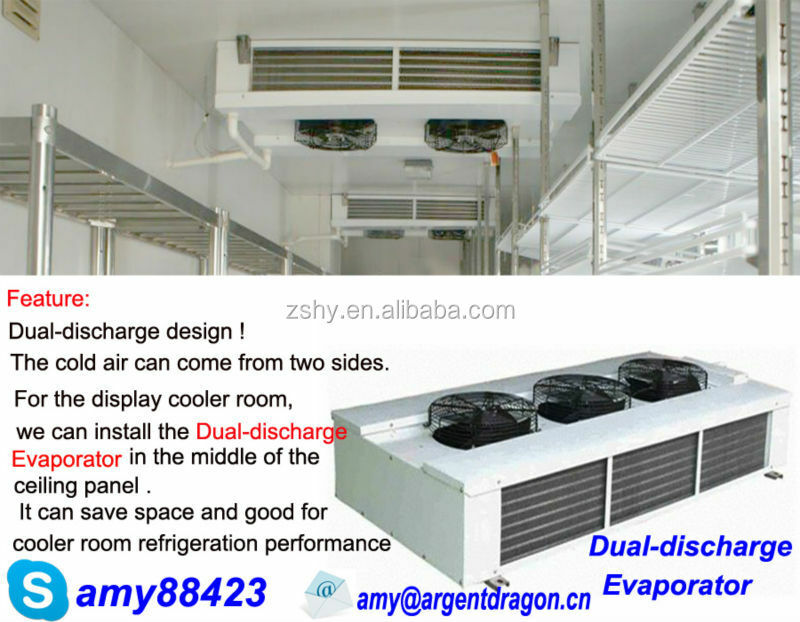 Fittings : shelves , light , Ventilator ,electric wires ,ect . 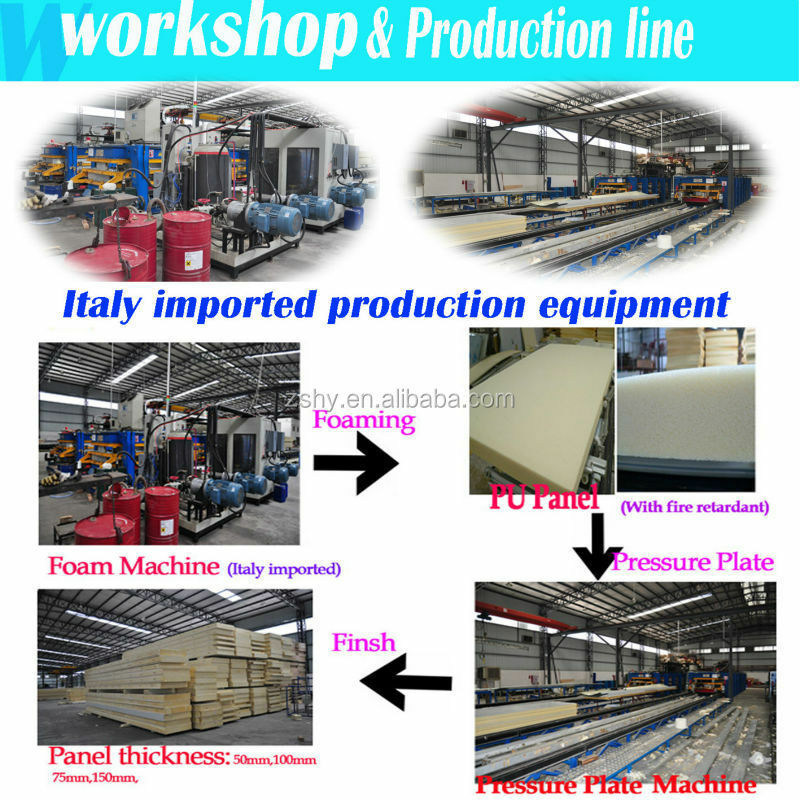 1.Italy Brand BASF foaming material. 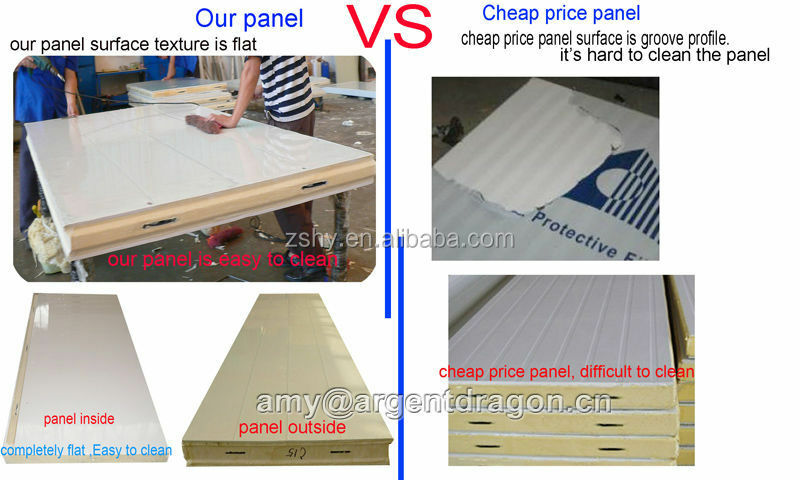 The whole panel average density above 40kg/m3 which enable the panel with better thermal conductivity of 0.021W/(m.k). The national standard is 0.024W/(m.k), which mean our panels will save the energy consumption of 12.5% than national standard. 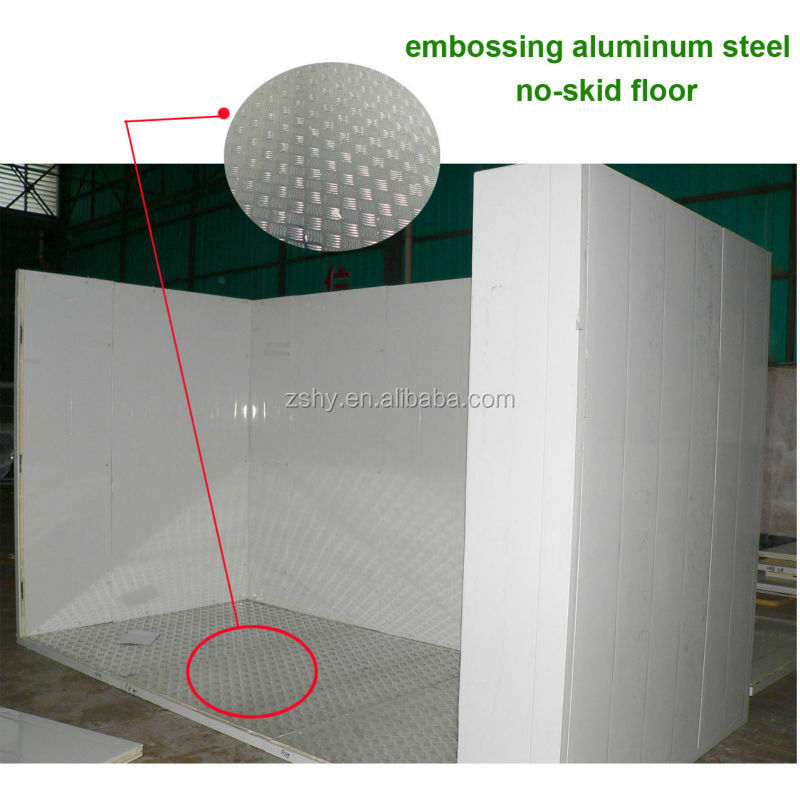 2.cold room panel is with fire retardant, self extinguish, Fireproofing Grade is B1. 4. 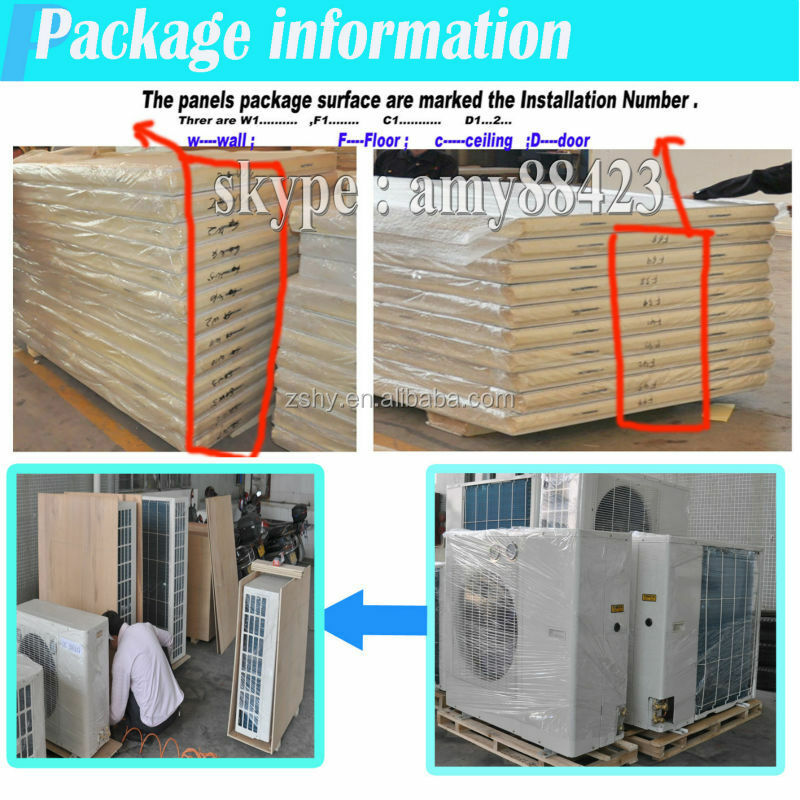 Gasket is around the edge of each cold room panel ,which the cool air will not leak,and the hot air can not come in . 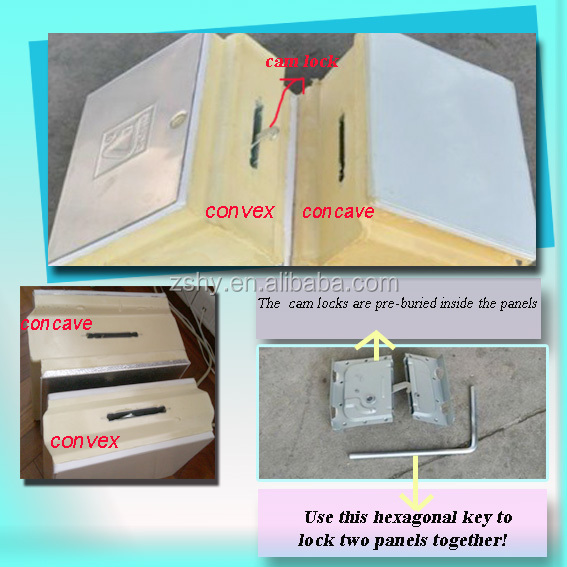 Every panel is male (convex) and femal(concave) type,cam locks are pre-burried inside the panels,use a key to lock them together. 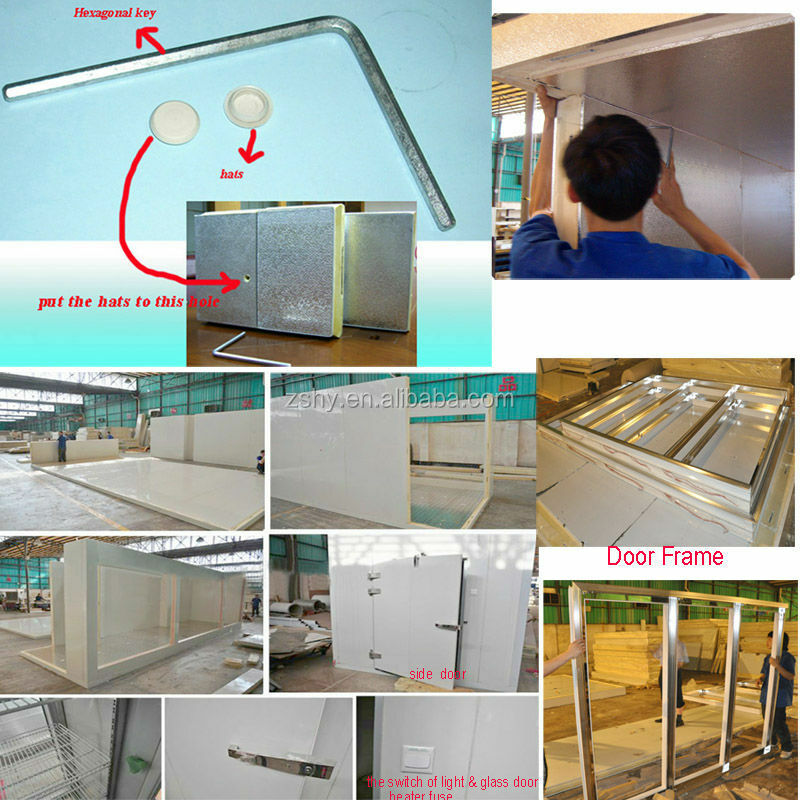 We usually design side service door for goods supplement, there are hinge door and convex door optional.Hinge door is with hydraulic closer, can close automatically. 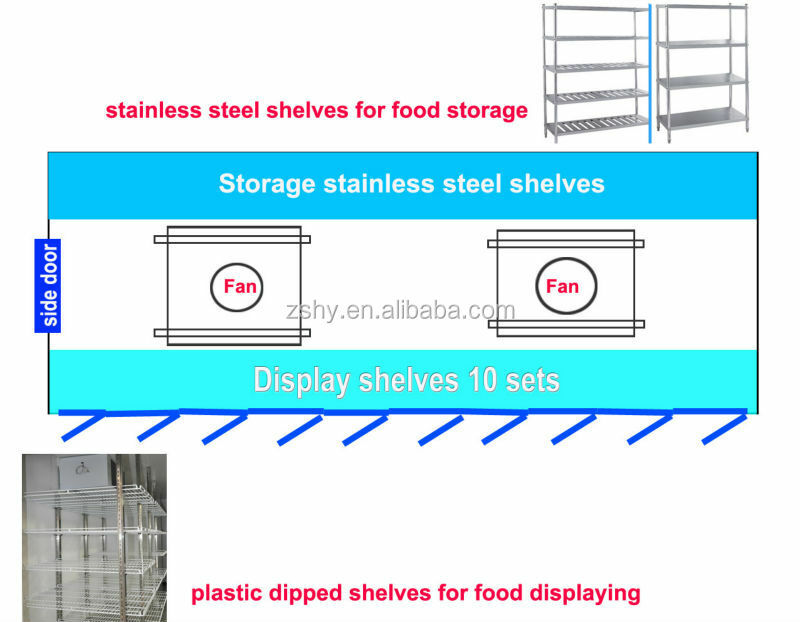 cold room plastsic shelves with stainless steel stand column & stainless steel shelves hooks . 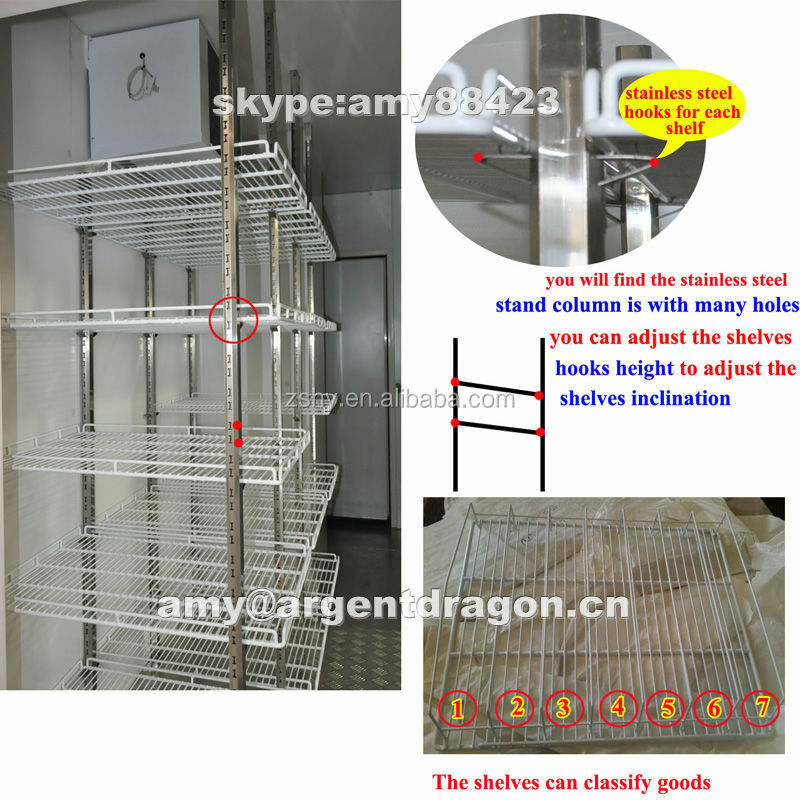 you can adjust the shelves hooks height to adjust the shelves inclination . 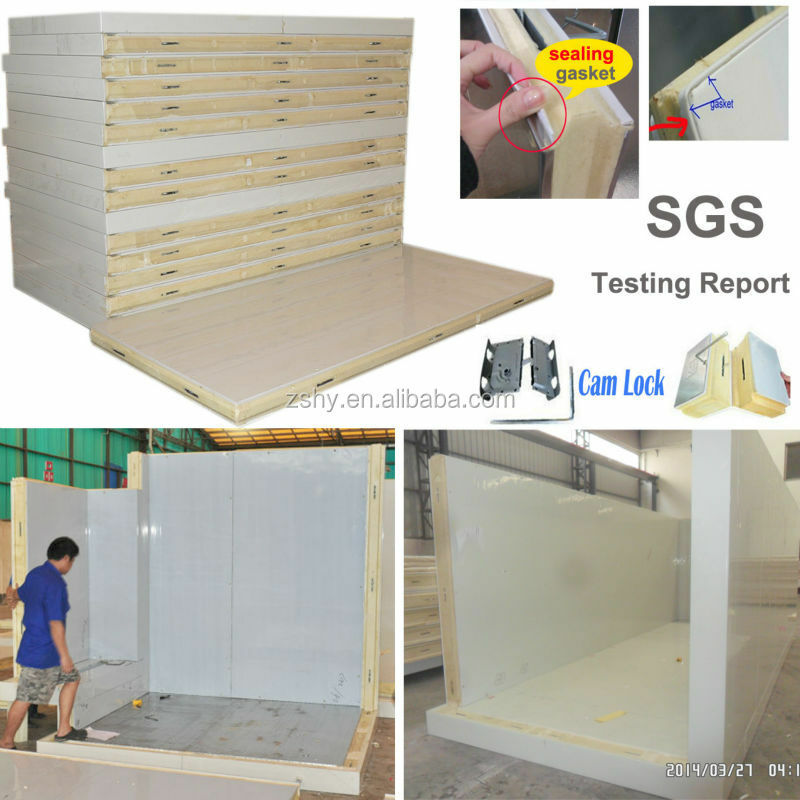 our factory is more than 30,000 square meters .Our mordern workshop & complete set of imported CUSBER & OMS product line for polyurethane sandwiched panel . below sizes are only for reference, can be modified to customers' actual need. 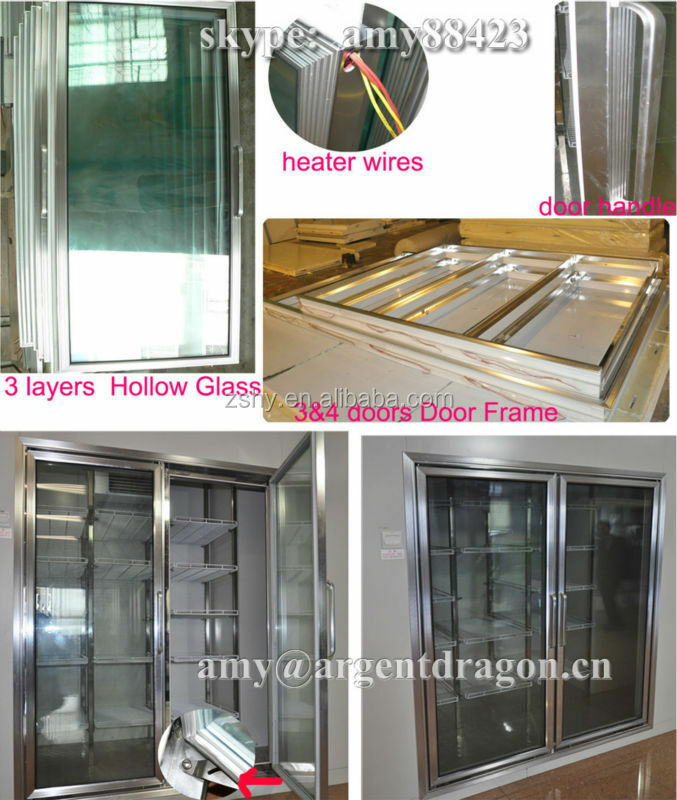 glass door cold room .Pls answer us the following questions. Tks! 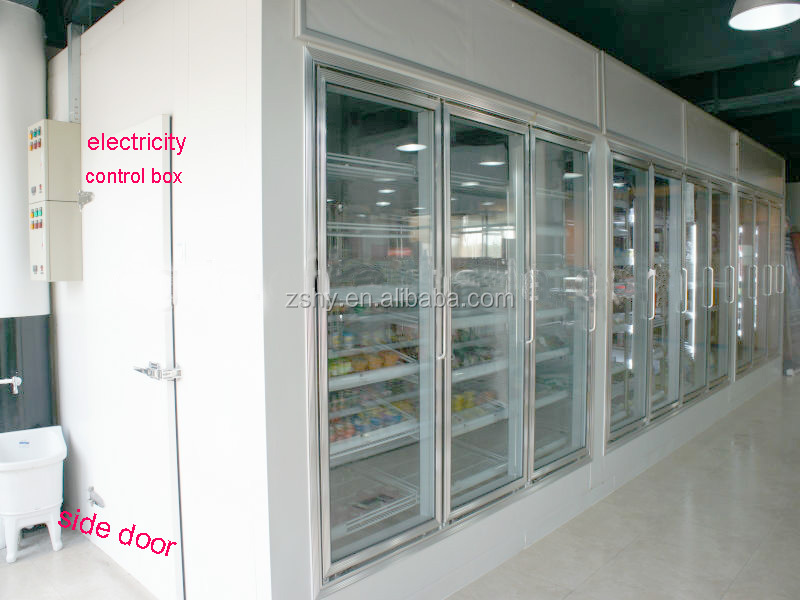 2.What Kind of products is gonna store in the glass door cold room ? 3.Required temperature inside the glass door cold room (°C)? 4.How many glass doors for the glass door cold room ? 5.Do you required the side service door for the glass door cold room ?